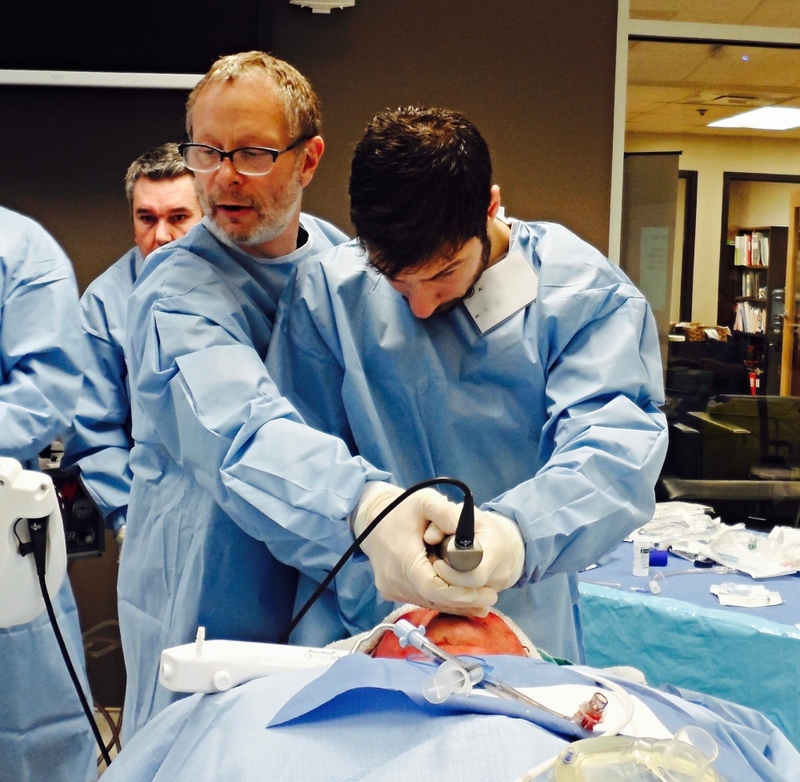 A Hands-on, Skill-focused Advanced Airway Learning Experience Using Clinical Cadavers. AIME Advanced Audience: This program is designed for experienced clinicians. Clinicians will benefit most from this program if they have had prior airway management training/experience (AIME, Residency trained, significant ‘field’ experience). This course uses Clinical Cadavers that have been ‘gifted’ to the Human Body Donation program at Dalhousie. These bodies behave in a manner that is for the most part indistinguishable from live human tissue. High quality experienced and usually entertaining educators. 5-6:1 learner to instructor ratio. 5-6:1 Learner to clinical cadaver ratio. An opportunity to practice learned techniques using clinical grade cadavers. Exposure to advanced equipment including various video laryngoscopes and other indirect intubation equipment. Build on their core airway skills to achieve positive patient outcomes in the acutely ill requiring airway management. Reinforce best practice core skills using direct & indirect laryngoscopy. Have an appreciation for airway topicalization in preparation for awake airway management. Have multiple opportunities to perform and refine laryngoscopy (VL/DL) skills on clinical cadavers. Have an opportunity to practice airway management decision-making and technical skills using clinical cadavers. Perform various advanced airway management techniques including flexible bronchoscopic intubation, and cricothyrotomy. AIME CAEP Roadshow: This program is designed for physicians working in an acute care setting requiring them to competently manage patients in need of emergency airway management. AIME educators are experienced (and entertaining) clinical instructors who understand the varied work environments of practicing clinicians. You will not be taught industry representatives. Whether you work in a large, high volume center or a small remote setting, AIME will provide a practical approach for airway management in emergencies. Be more confident and comfortable in making acute care airway management decisions. Have acquired a practical staged approach to airway management. Be able to choose the most appropriate method of airway management based on a variety of patient presentations. Make appropriate choices in the use of pharmacologic agents used to facilitate airway management. Know when and how to use various tools and adjuncts for managing the difficult airway. A case-based, evidence supported interactive airway learning experience: What’s new, what’s in, what’s out. 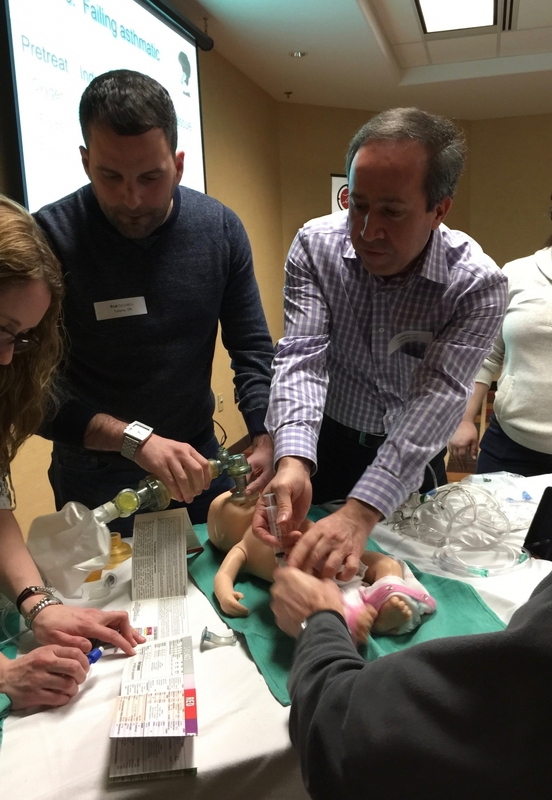 AIME Update: While this program is not a substitute for the hands-on experience of AIME (original) it is relevant to any clinician who may be responsible for airway management in emergencies regardless of experience. Case based ‘rapid fire’ interactive case-based learning. Review of the ‘top 10’ airway articles. Design your own resuscitation checklist and plan A, B and C for airway management. Live demos using current airway equipment. Reinforce their knowledge base and understand the priorities of airway management. Understand current controversies surrounding airway management. Understand critical decision nodes required for safe airway management. Be involved in interactive case-based airway management pharmacology decision-making. Understand the evidence and experience for and against the use of various airway management techniques. Understand the utility of checklists for airway management. Understand the common errors and human factors challenges involved in airway management in emergencies. AIME EMS (Advanced): This program is designed for prehospital clinicians who are expected to competently care for patients in need of emergency airway management. Proceed with airway management based on clinician skill level, an airway management assessment and transport considerations. Copyright © 2019 Airway Interventions and Management in Emergencies. All Rights Reserved.